Top running overhead crane is a common type of overhead crane and as the name implies, its end trucks travel on the top of runway beam. It is a kind of highly efficient lifting equipment which can make full use of the space under the bridge and is not obstructed by the equipment and obstructions on the ground. The top running crane is available in two main configurations including single girder and double girder to suit multiple applications, such as loading and transferring goods in warehouse, workshop, and material yards. Compared with underhung crane, the top running crane is generally adopted for lifting larger and heavier loads, and it also provides high headroom when greater headroom is required or the building has low headroom. 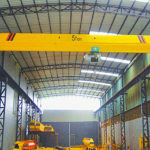 As mentioned above, our top running overhead cranes are mainly designed in two configurations. 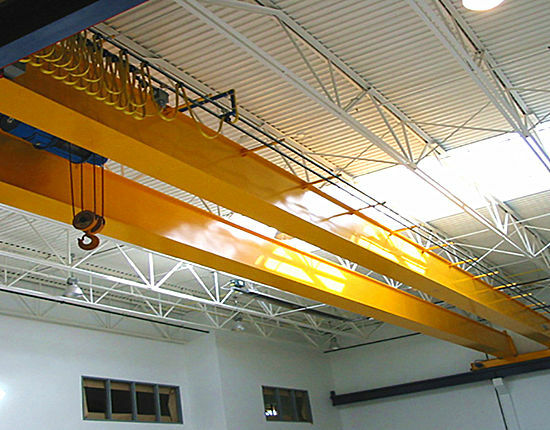 We provide many different types of overhead crane with either single girder or double girder to match your wide range of applications. Single girder top running overhead crane has less cost and lower lifting capacity compared with double girder design. 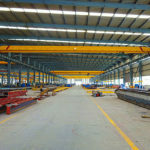 When it comes with applications where great headroom is not highly required, the single girder overhead crane may be a good option as the hoist usually runs underneath of the bridge girder. We manufacture multiple types of top running crane including LD type, LB type and HD type. 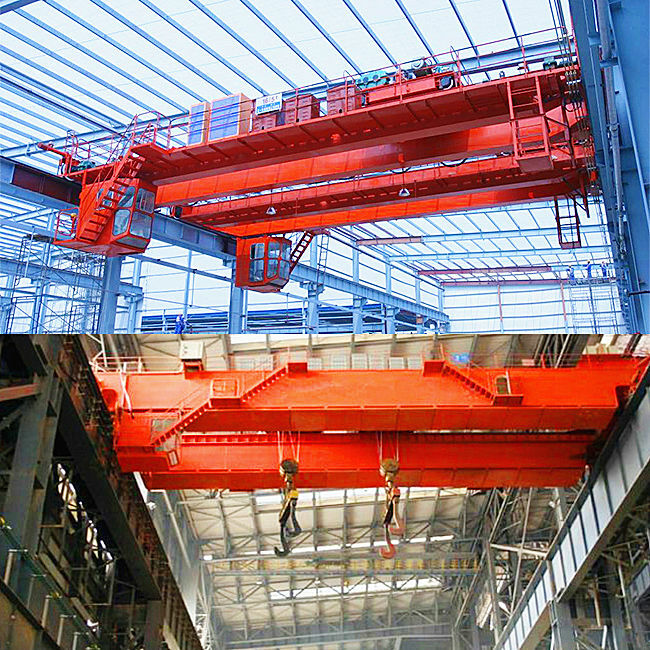 By contrast, double girder top running crane has high lifting capacity and of course much more cost. The crane hook can reach a greater lifting height as the hoist is typically mounted on top of the bridge beam. We supply a large variety of double girder overhead crane such as QD type, QB type and QDY type. To select the most appropriate types of overhead crane equipment is critical for your business. If you want to know more detailed information about these types, please contact our sale manager online, and we are willing to offer you the best solution accordingly. 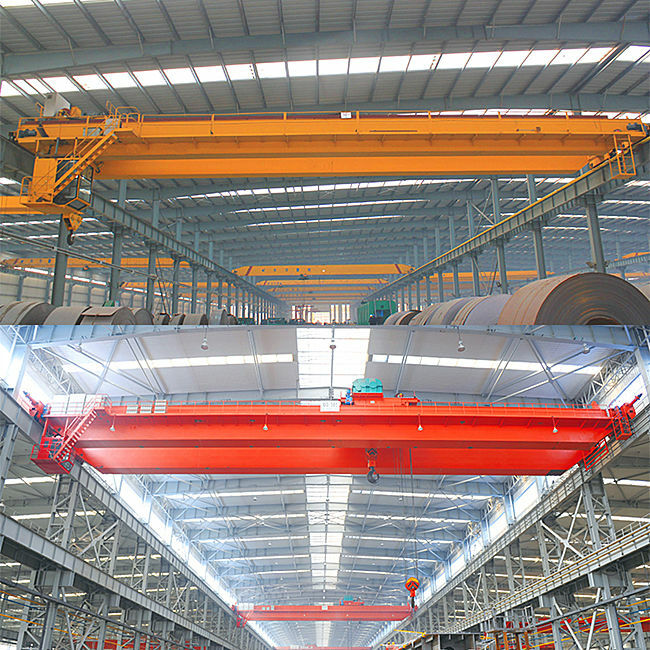 Which is the best option for your business, top running overhead crane or under running crane? Customers should consider this question carefully before making the purchase choice. Here are some considerations you should know when choosing overhead crane lifting devices. The structural condition of your building, whether it is a new building or an existing one. For a new building, you have greater flexibility to make the building structure suitable for the crane coverage, so don’t forget to take the configuration of over head crane into consideration in the early planning of your project. 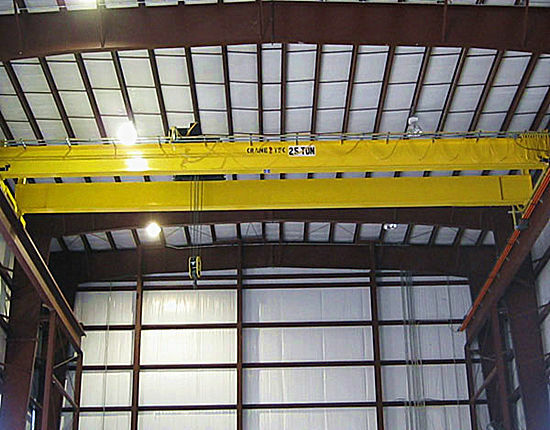 If you already have a pre-existing building with runway beam, the top running overhead crane is absolutely your best choice. 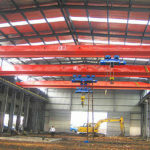 Besides, you need to see whether your building structure is strong enough to support a top running crane. If not, you may consider underhung crane instead. In addition, the layout of your building including the ceiling height and floor space also determines which crane is your best option. Your requirement for lifting height and capacity. Top running overhead crane is typically the best choice for large lifting capacity to lift heavy loads such as 20 ton or more as it runs on top of runway beam. If the high headroom is your first consideration, a top running crane can also be your best option. Installation and maintenance. The top running overhead crane has easier installation and maintenance because it does not have to be suspended from the above. The running wheels are easy to maintainand spare parts have wide availability in contrast to under running crane. You should consider the above issues before determining the configuration of your crane. You can also contact our sales team to help you select the best solution for your application. Overhead crane safety is essential for both your business and personnel, and the crane operator plays a very important role in the crane operation. The crane accidents can be preventable if the operator strictly follows the safety rules and conducts a correct operation. For new operators, the basic advice they should take is to receive professional training before operating a crane. They should also be trained on the specific crane of the operation and rigging because each crane may have slight differences in the operation methods. For both new and experienced operators, they should be notified of other critical tips for the overhead crane operation. One of the most important tips is never stand under a load. Operators may get injured from unstable loads or loads drop. Though it is a small possibility of a load fall, it costs too much once it happens. Besides, the operator should strictly comply with operation and safety procedures during the crane operation. The accidents are prone to happen when operators are careless, therefore they should focus on the operation during working. Other essential issues the operator should consider include: conduct a pre-operational inspection; check the hook; inspect the limit switch before operating the crane; take a regular maintenance of the crane components. To know more about the crane operation and safety procedures, please consult our technical team now. 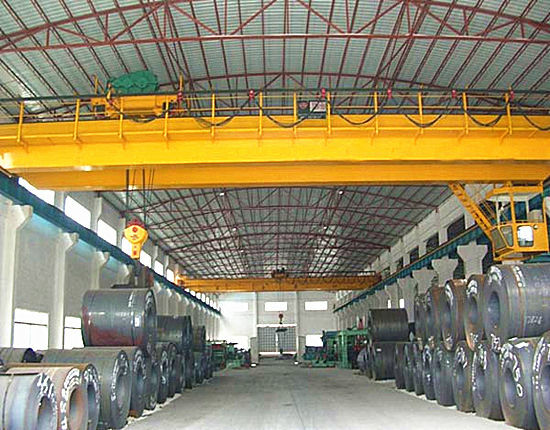 We are experienced top running overhead crane manufacturer and can ensure high quality products and best service. Hope to cooperate with you! 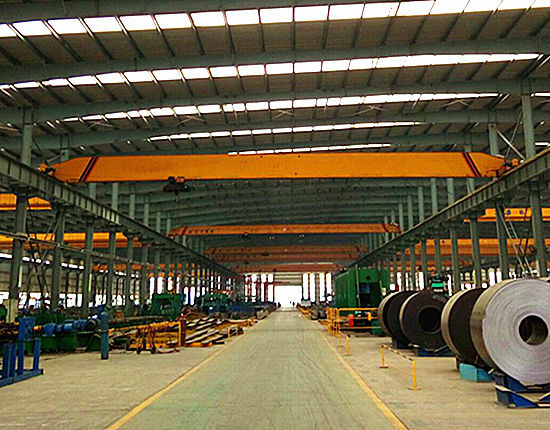 For our overhead crane price and quotation, just feel free to contact us.